I learnt a new word during this week. Magritte. Derived from the name of the Belgian surrealist painter René Magritte, it refers to something that is not what it seems. 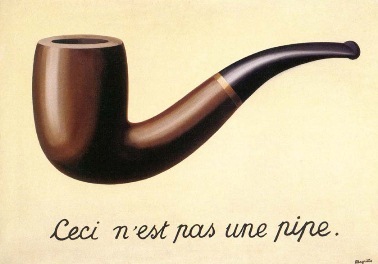 The story is that Magritte painted a pipe, and titled it "Ceci n'est pas une pipe" (This is not a pipe). He was right of course, for it was only a painting of the pipe and not the pipe itself. So, the picture up here today is of a police station. Or is it? Okay, I'm not getting all meta here. The J4 Police Station in Chennai is indeed the one at Kotturpuram, as it says on this board here. But this is not it. This building is somewhere off Cart Track Road in Velachery. The board has been placed there because it is acting - acting as a police station. Yes. Part of a movie. More about the movie for another post, but then, isn't every movie a treachery of images? If you've watched the Malayalam Drishyam, or its Tamizh version Papanasam, you will agree with that!